No, not me, I’m still staying up north for a while. 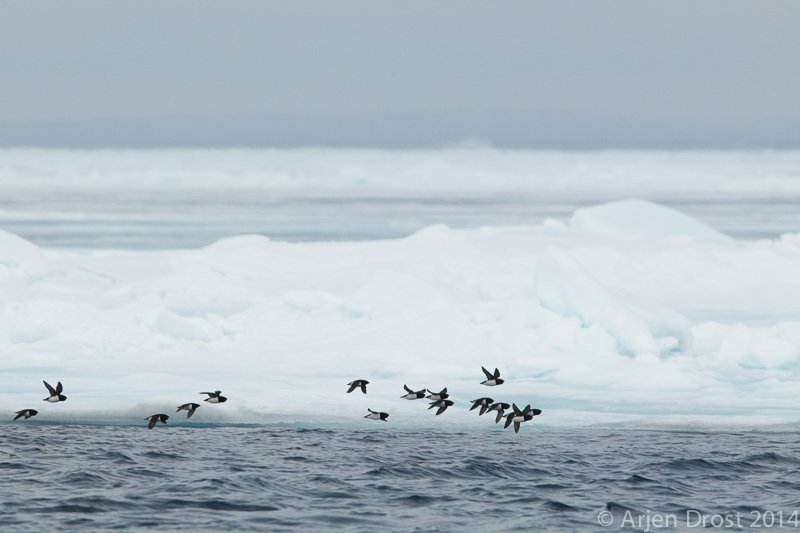 But these birds have been feeding up north in the pack ice and now fly home with their crops filled with small crustaceans for the chicks. I’ve been looking for good ways of photographing flights of Little Auks and guillemots. I find this really difficult as you often miss an interesting background. With this image if does work however, the ice in the background forms an interesting background and it even makes the story in the image stronger.